In a satirical piece entitled, “Democrats Warn That Defunding Planned Parenthood Will Reduce Access to Essential Campaign Donations,” The Babylonian Bee came awfully close to the truth of the matter. While slightly amusing in a dark-humor way, there is no denying that Planned Parenthood and the Democrats have a slush fund in operation. Consider Planned Parenthood’s donations to federal candidates so far in 2018. The abortion chain has given $171,447 to Democrats and not 1 penny to Republicans. Carly Fiorina’s words only echo what so many people know, namely, that Planned Parenthood and political candidates as well as incumbents who support the abortion chain–mostly Democrats–have a slush fund. Planned Parenthood dishes out money for campaigns and lobbying while candidates and elected officials fight to keep taxpayer money flowing to Planned Parenthood…and round and round the money goes between two parties serving each other’s interests in order to serve their own. 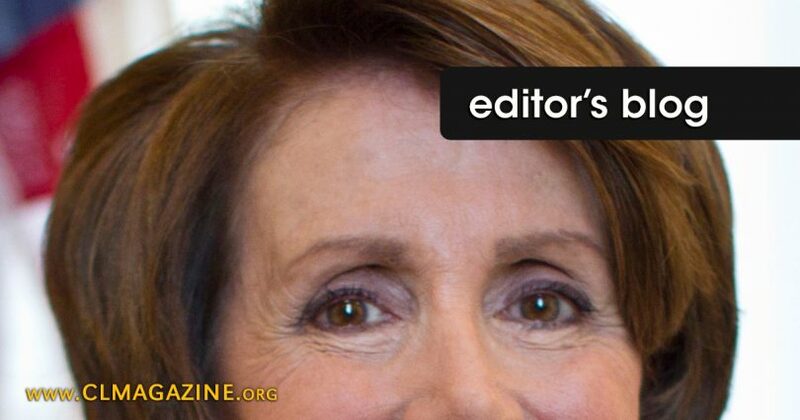 So, The Babylonian Bee pretty much nailed the truth of the matter with this piece that concludes with Nancy Pelosi saying that Republicans “obviously hate all women.” Sure, Nancy did not actually say this–at least not to my knowledge–but who cannot imagine her saying it based on so many other things she and those like her have said? Nancy and the like often use the “victim” label in an attempt to shame anybody who disagrees with their agenda. Sadly, when it comes to Planned Parenthood, the true victims are the precious babies the abortion giant kills… every single day.